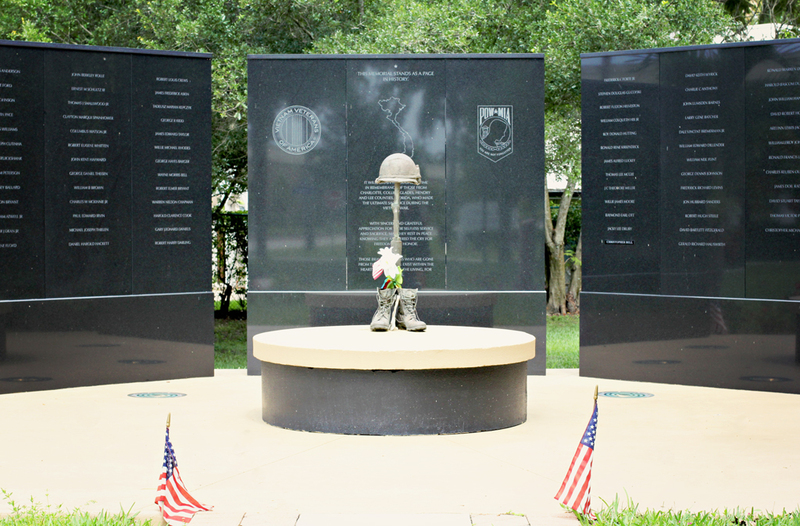 You are viewing the Vietnam Veterans Memorial that was built recently in our town to represent the fallen heroes from Lee, Hendry, Charlotte, Collier, and Glades counties in southern Florida. America is still the land of the free and the home of the brave. These men and women fought hard to keep America and the fight for freedom reigning. So on this precious weekend of celebration, I say to you…God Bless YOU! May you remember the many freedoms that have been fought for you and your family. If this is your first or second time visiting, we would love for you to join our family at Pride in Photos. The inspirational posts will be delivered right to YOUR inbox…how cool is that?! 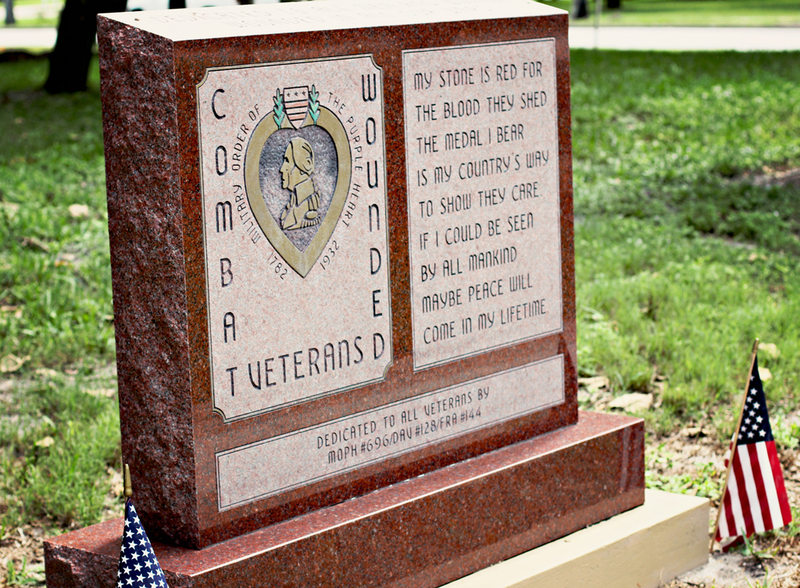 Glorious Greens…Part 1…Vietnam Memorial Gardens. These photos tell the sobbing stories of sacrifices for freedom! Thank you! I would have been balling my eyes out if I saw and read that card! This is a beautiful post. Happy 4th to you! I hope America remembers this and continues to fight for this….. “America is still the land of the free and the home of the brave.” because probably more now than at any time in it’s history this is at threat… and mainly from your own government. The same is true here in Britain, although for slightly different reasons. A truly stirring memorial post Laurie. LuAnn, thank you…very kind! Hope things are going okay for you? Lovely post, and beautiful monument. 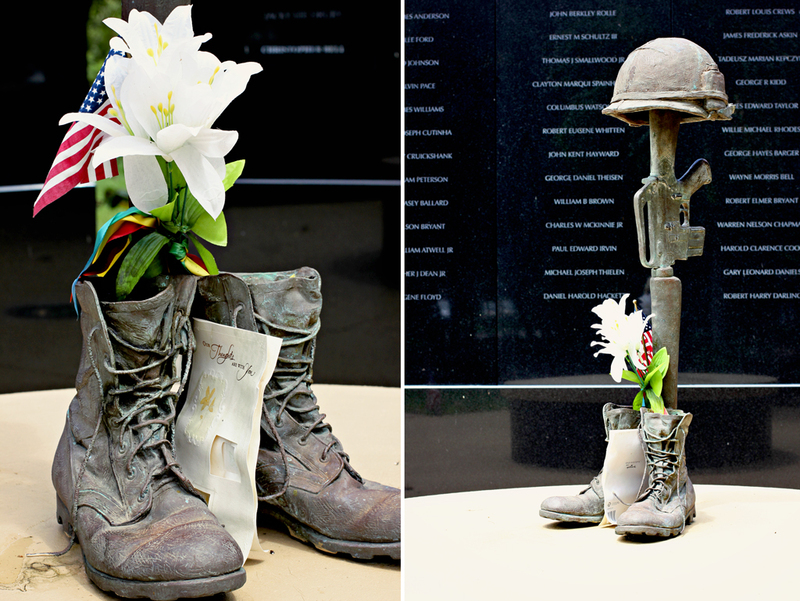 It’s always wonderful to see tributes to our fallen soldiers. PS That arch with door that was in my last post is not in my backyard….it is at my fav nursery. I, as a native German, born 2 years after the end of WWII, have always been and still am deeply grateful for those American soldiers – and those of other allied countries – that allowed me to grow up free of tyranny. God bless them! Pit, it is so nice to still hear from others how grateful they are for the american soldiers. Independence Day is so important to our country…even though some have forgotten. It is always a treat to see you here to visit. I for one will be forever grateful…. Outstanding!! Wish I had had the talent to do something like this. Yes, a reminder of how much sacrifice has gone on and still is taking place for freedom . Aaaah, thank you sweetie…love is mutual. Enjoy and be safe my friend! Very nice post Laurie. The holiday isn’t about beer and parties as so many believe today. Very interesting to see your photos. God bless you too, happy independence day! Very, very nice blog, Laurie!! Love the pictures! Have a wonderful 4th of July! Beautiful post Laurie – thank you so much for sharing your thoughts and photographs. It’s a reminder that matters. Wonderful photos and thoughts, Laurie. I wish you and your family a very Happy 4th of July. What an awesome tribute to our nation’s independence! God bless America. I like the little story about the card and please have a great 4th of July! I am so glad you liked the story, it was amazing to experience it. You too have a wonderful Independence Day. What a lovely way to honour your Day of Independence. May you and your loved ones have a wonderful day of fellowship and celebration. Anyone who has someone serving or has lost someone in the Armed Services can appreciate such a special place to remember. The red stone is striking. Now, if everyone would take just a moment and remember what this holiday really is about. Have a safe holiday.